Elephants Driking In Waterhole, Etocha National Park In Namibia. Description: Elephants driking in waterhole, Etocha National Park in Namibia. 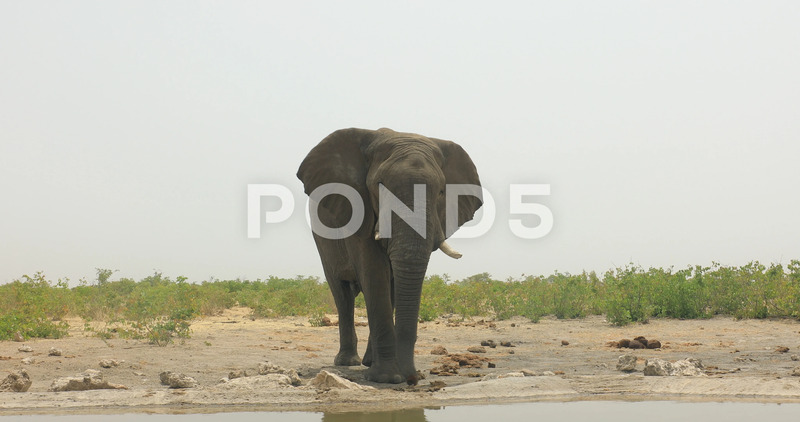 Big elephants drinking water, animal behaviour. Wildlife scene from nature. Safari in Africa.